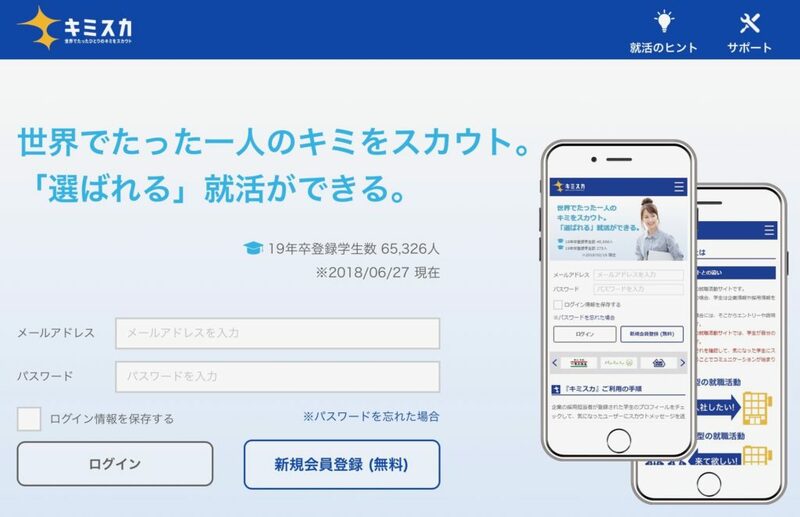 Together with Studio Arcana, WiredIn Ltd. / WiredIn Japan Inc. successfully developed Japanese recruitment website “KIMISUKA,” managed by Grow-up Inc.. The web service provides opportunities for recruiter from respective companies to send scouting messages to students registered on the website. This will allow recruiting and HR team to find a person with specific talent and skills they are looking for. Students will also be able to focus on demonstrating their personalities to companies potentially going to send him/her a scouting message, rather than sending out job applications to thousands of companies. Software developers from WiredIn Ltd. and bridge engineers from WiredIn Japan Inc. participated to a development team formed by Studio Arcana remotely to develop the web service. We used software develop model that we call ‘Lab-type development model,’ which allows participating parties, clients, WiredIn Ltd. and WiredIn Japan Inc. work closely from idea forming, programming to developing the website complying with feedback from the client. For more detail on our software-developing model, feel free to contact us. An ICT Company in Rwanda established in 2014 mainly provides custom software development service globally .